Wherever you go, there you are! I love that saying because in the last 36 years of my teaching Essence of Being, many people ask, “How can I have more freedom, joy and live my purpose?” One might think, “If I just fix or get rid of that person, place, or thing, I’ll be happy”. People get attached to how their life looks or how they show up or what does success mean. I always say, “if you get attached to the outcome, there is a chance you will be disappointed.” If you focus on the journey and not the outcome, chances are you will not set yourself up for disappointment. Your journey is the reason you are here. There is no destination. In other words, if going back home is the ultimate end of a vacation, then why go? You are already there at home. People go on vacation to enjoy the journey. Life’s directions can be enjoyed no matter what you create on the way because the destination is not the result. Life is like a fruit bowl. 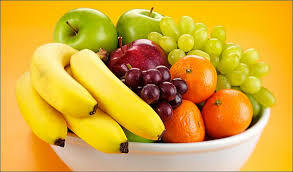 You have a lot of different color fruit in your bowl and sometimes the fruit rots and you must replace it. The fruit can represent the “stuff” in our lives like new home, new car, new job, new relationship, new purpose, etc.… We think that if we throw the old one out and get a new shiny object in the fruit bowl we will be happy. Then after a while, it starts to rot or get stale and we think “time to get a new piece of fruit”. This cycle continues forever until we realize that all we are doing is replacing the content in our lives not our context. The fruit bowl remains the same which is our paradigm or context or filter in which we see the world. If we want things to change or be okay with where we are, we must change the fruit bowl or our context. Once we change or perspective of who we are, everything changes. Remember, wherever you go, there you are! You cannot escape your own beliefs and paradigms and filters; however, you can shift them so that you can experience more freedom, joy, and happiness.